The terrorists were killed in Tangdhar sector of Jammu and Kashmir. 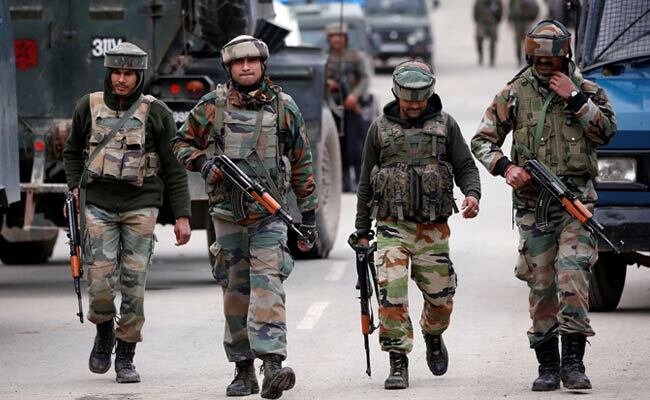 Three terrorists were killed today as the Army foiled an infiltration attempt along the Line of Control (LoC) in Tangdhar sector of Jammu and Kashmir, police said. Director General of Jammu and Kashmir Police (DGP) S P Vaid also confirmed the killing of terrorists. "Three terrorists killed by Army while infiltrating in Tangdhar sector of Kupwara today," Mr Vaid tweeted.